The term New Evangelisation needs to be understood clearly before it is possible for it to become a reality. There are definitive moments and words in time which bring to mind, without effort, the author of those words, words such as “Theology of the Body”, “Culture of Death” and “New Evangelisation”. Of course, when these terms are used the name Blessed John Paul II is recalled. Here, of the three phrases, “New Evangelisation” will be explored in the context of the “right to life”. So what does “New Evangelisation” mean? We understand evangelisation to mean the spreading of the “Good News” of Jesus Christ (Mt 28:18-20) and bringing all nations under His Lordship through Baptism in the name of the Most Holy Trinity. The new evangelisation was John Paul II’s response to the urgent need for evangelisation within the new realities of this time, hence it preaches the Gospel in the milieu, language and signs of the modern era and reiterates the Truth so that it is understood by the listeners of this day. The first two millennia saw the preaching of the Gospel both in suffering and persecution but also in joy. However, in this modern era at the beginning of third millennium there are two new generations which have emerged whose ears have been deafened by the “noise” of a culture in which “life” is interpreted in a way contra to Christ and the Gospel; hence the need for a new evangelisation. The evangelical nature of the Church is its raison d’etre and it could be said that this impetus finds its genesis in God Himself Who reveals and speaks about Himself through all of creation and definitively through His beloved Son Jesus. Evangelisation does this by speaking concretely about God, life, creation, sin, redemption. These He continues to speak about through the Holy Spirit via the Church whose work is to bring a change to a disordered world. To change the culture from profane to divine. The new evangelisation has as its role model the Incarnation when Jesus entered a culture and began the change. The documents of Vatican II, especially Gaudium et Spes, along with post-conciliar documents like Humanae Vitae, Evangelium Vitae, Redemptoris Missio, Evangelii Nuntiandi and Christifidelis Laici have embedded in them the nuances of the thought of John Paul II and the new evangelisation. In the Holy Father’s anthropology of the human person, the individual is imbued with inalienable rights, the highest being the right to life and the right to dignity because of man’s reflection of the divine image (Gen 1:27). So a part of the new evangelisation focus must be the awareness of the true reality of our world in all its beauty but also its tragic state of sinfulness. With this vision, the conscience of society needs to be galvanised towards sharing anew the message of the Gospel. To see the grief engulfing a culture in pain is to desire to evangelise: “Woe to me if I do not preach the gospel” (1 Cor.9:16). The new evangelisation means a return to an understanding of how this loss occurred and a reversal of this descent into the “culture of death.” It means a retelling of the story with new fervour. The family, life and love can renew each generation and with each generation God speaks again a language of confidence and continuation. God speaks of “life” and not “death.” In this milieu of secularisation these words are not heard and the culture of death in all its methods proceeds unabated. The Church remains in the world as a visible sign of the Holy Spirit who speaks of Jesus through the Gospel to address the prevailing anti-God, anti-life ideologies of the modern era. The saving work of Christ needs to be heard again with vigour and hope, most especially by a humanity of multi-millions who have abandoned the laws written on the human heart (Jer 31:31-33) and descended into a world of pain. As Lumen Gentium affirms: “The Church does not tire of doing penance: before God and man she always acknowledges as her own her sinful sons and daughters.” To these individuals the words “Repent and believe the Gospel” (Mk 1:15) need to be spoken not in judgement but in sympathy and love. In the context of this society, the most vital need is to hear that Jesus has loved life so much that He took on human life to be in solidarity with the human race and because of this He has engaged with the culture, and desires to change it from one of death to one of life: “The Holy Spirit gives humanity the gift of conscience so that in this conscience the human being — the image of God — may reflect its model” ( Dominium et Vivificantem, 36). In conclusion, a new need has arisen in our day, a need for a new evangelisation especially to those marginalised by the anti-God and anti-life lies: to those who have acquiesced to the whisper that “life is not good”; to those who have consciously decided that marriage and family between a man and a woman is not the ideal; to those who are consciously seeking to end lives because of a eugenic mentality; to those who have ceased listening to the voice of hope because the culture of death has deafened their hearing. To all these a new evangelisation is urgent because of the loss of the sense of awe and through this loss, the loss of sense of God, of morality and holiness. 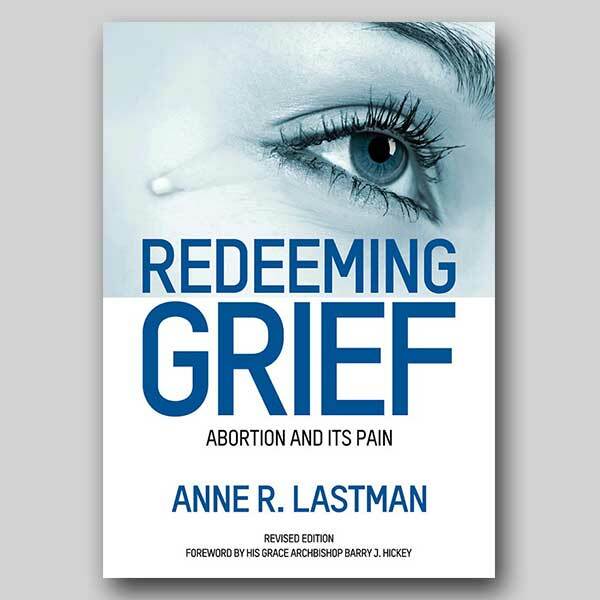 Anne Lastman is the founder of Victims of Abortion Trauma Counselling and Info Services, PO Box 6094, Vermont South, Vic 3133, tel: 0408-175-033.